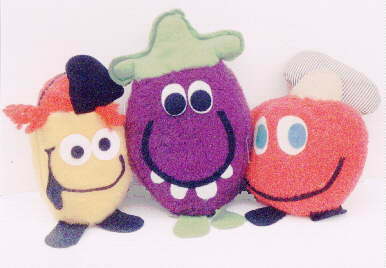 Variations: Goofy Grape, Choo Choo Cherry & Lefty Lemonade. 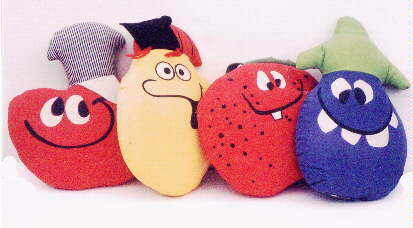 Description: Plush dolls with felt accents. 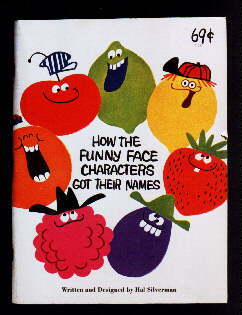 Variations: Goofy Grape, Chinese Cherry, Injun Orange & Rootin Tootin Raspberry. 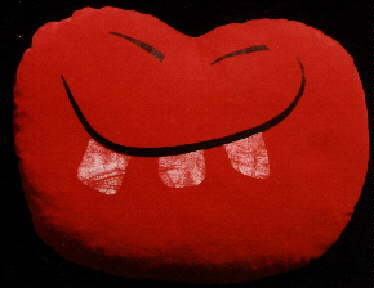 Description: Printed cloth pillow with felt accents. 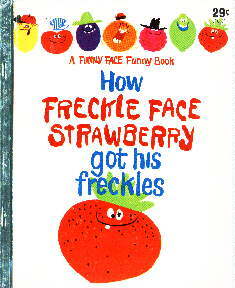 Variations: Goofy Grape, Choo Choo Cherry, Lefty Lemonade & Freckle Face Strawberry. 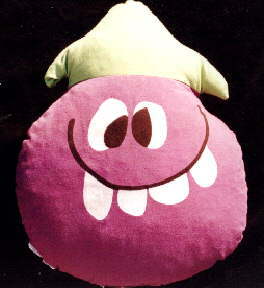 Description: Printed cloth pillow with felt and yarn accents. 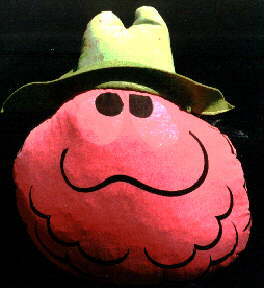 Grape & Cherry variations exist with hat material differences. Redemption: Package and ad mailaway. 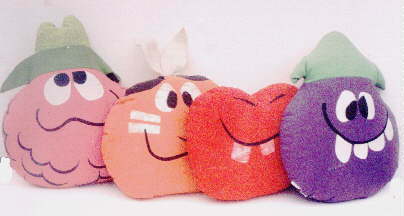 Variations: Goofy Grape, Choo Choo Cherry, Rootin Tootin Raspberry & Jolly Olly Orange. Description: Hard plastic painted walking toys with plastic counter weights. 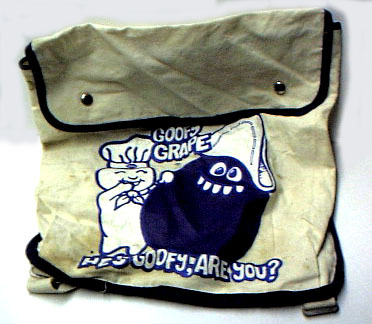 Description: Cloth back pack with Goofy Grape and the Doughboy printed on it. 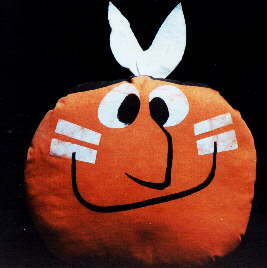 Description: Bagged thin plastic kite. Redemption: In store giveaway or package and ad mailaway. 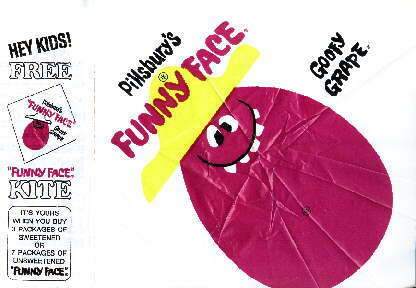 Description: Letter from Goofy Grape in a graphic mailer. 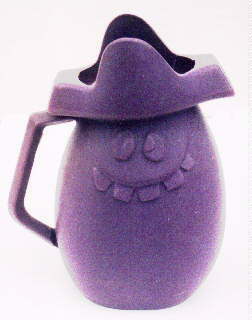 Description: Unpainted soft plastic pitcher with Goofy Grapes face on both sides. Redemption: Fun Club (A) mailaway. 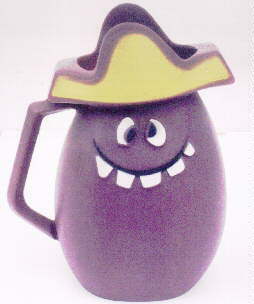 Description: Painted soft plastic pitcher with Goofy Grapes face on both sides. 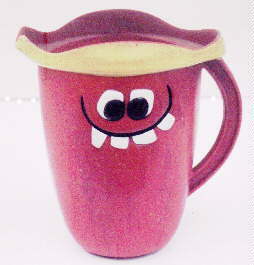 Description: Painted hard plastic pitcher with Goofy Grape's face on one side. 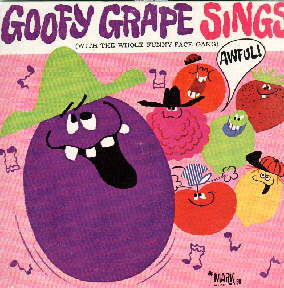 Description: 9 song 33 rpm single record in a color sleeve. 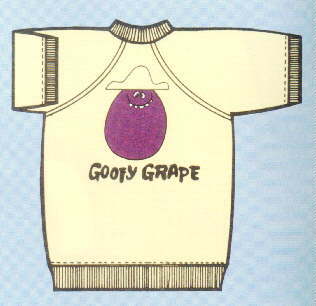 Description: Yellow sweatshirt with Goofy Grape on the front. Description: Color tin litho tab button. Redemption: In store giveaway or Fun Club contents. 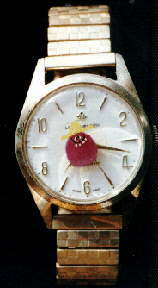 Description: Gold colored watch with a decal of Goofy Grape on the face. Redemption: Fun Club (B) mailaway. Description: 16 page small hard back book. Redemption: In store sale item. Description: 112 page soft back book. 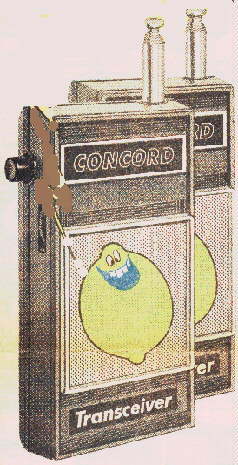 Description: Walkie talkies with graphics of Loud Mouth Lime. 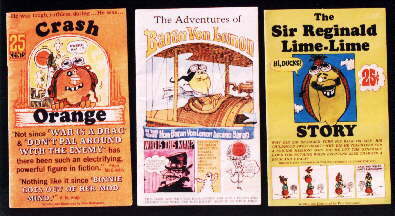 Variations: Crash Orange, Sir Reginald Lime-Lime & Baron Von Lemon. 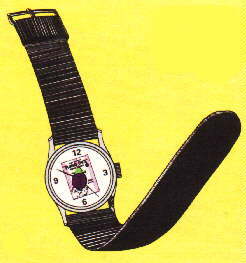 Description: 24 page full color booklets. Redemption: In store sale items.